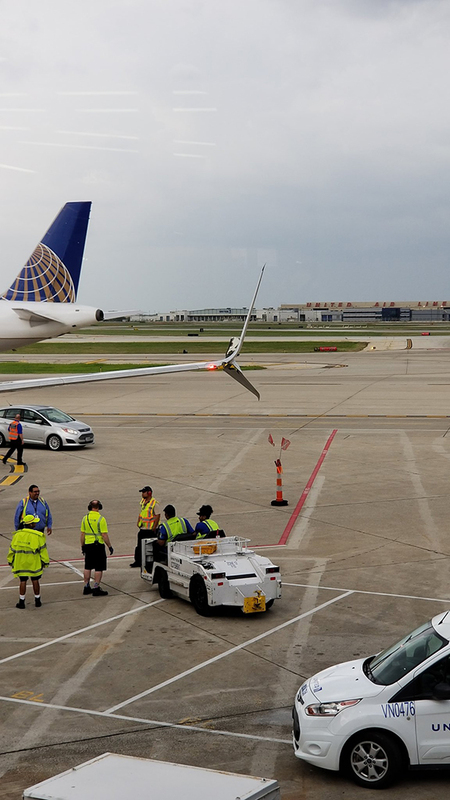 CHICAGO (WLS) -- The Federal Aviation Administration said two United airplanes were damaged when one plane clipped the wing of another plane on the tarmac at O'Hare International Airport Wednesday afternoon. The FAA said United flight 645 was pushing back from gate C30 when it clipped the wing of United flight 2746 which was parked at gate C28. Both planes sustained left wing damage. No injuries were reported and officials at O'Hare said the incident did not affect air travel other than the flights of the two planes involved. Passengers were boarded onto another plane within about an hour. Arriving passengers saw no sign of any problem on the tarmac. "We were on the plane pretty much 'til the very end and heard or saw nothing," said passenger Mark Ritchie. "It makes me a little anxious to know there's not enough ground control going on that that could even happen. That's a little scary," said passenger Melissa Wester. Passengers arriving for other flights snapped pictures showing a chunk missing from the wing. "It's human error. It has to be. And timing is everything. This many planes in this area this many times a week, something's bound to happen at some point. I'd call that a minor accident," Ritchie said. United Airlines released a statement, saying: "Prior to its departure for Portland, Oregon, United flight 645's wingtip came into contact with the wingtip of another aircraft parked at a nearby gate. There were no customers on board the parked aircraft at the time of the incident and no reported injuries on either aircraft. We are assisting our customers and expect to operate the flight to Portland with a different aircraft shortly."